What's new in sleep-tech at CES 2019? CES 2019. Yes it’s that time again when gadget freaks head for Las Vegas in their hordes to witness the world’s biggest showcase of cutting edge consumer electronics technology. The annual event, now in its 52nd year is one of the best showcases for sleep-tech, a relatively new category in consumer electronics, but one that has no shortage of innovation, and indeed has been predicted as one of the biggest tech trends for 2019. Despite reports of fewer overseas tech firms appearing at CES 2019 because of US trade tensions, there was no shortage of innovate new sleep-tech hailing from all around the world including Europe, China and Korea. What’s new in sleep-tech at CES 2019? We were pleased to see many of the familiar names in sleep-tech we’ve covered over recent years, including Somnox’s sleep robot, Dreem, SleepScore, Moona, QuietOn, Withings and many more. But what’s noticeable is the sheer amount of brand new companies entering the sleep-tech market, many with their own unique patents, designs, and new approaches to solving the universal problem of improving sleep health. One of the biggest trends in sleep-tech in 2019 is the proliferation of EEG sensing devices which can monitor your brain activity in order to actively improve sleep. Also, we’ve seen fewer devices that only feature passive sleep tracking. It seems that consumers want more than a bunch of metrics, they want devices that can actively improve their sleep. Whether or not these all of the new products at CES 2019 will go on to greater things, it’s difficult to say. Hardware is a notoriously difficult business to succeed in, and we’ve already witnessed plenty of high-profile failures in the sleep technology industry. 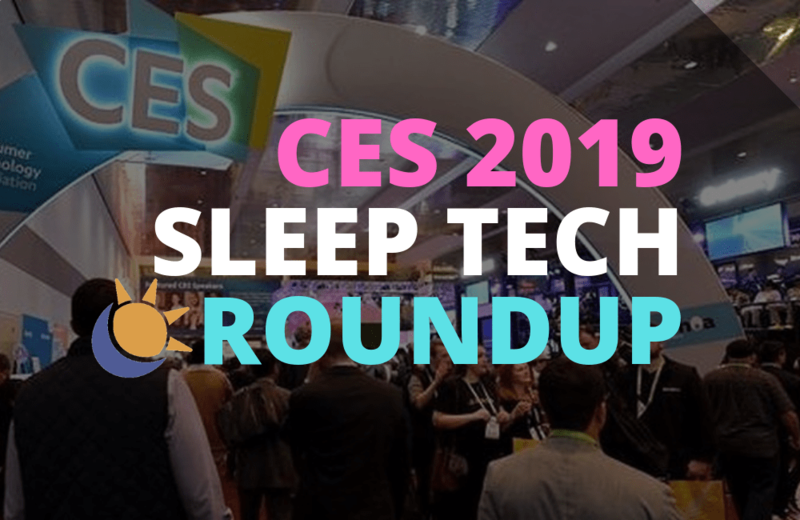 But what’s abundantly clear is that there’s heaps of innovation going on in the consumer sleep-tech space, so, without further ado, here are some of the newest, cutting-edge sleep technology products on show at CES 2019. Named as a CES 2019 Innovation Award Nominee, UrgoNight by UrgoTech is a wearable headband that uses EEG sensors as a brain training solution to help you sleep better. As part of the Urgo Group, a leading French healthcare company formed in 1880, UrgoTech is the first company we’ve seen to use a technique called ‘visual neurofeedback’ to tackle sleep problems. Using Urgonight’s built-in EEG (electroencephalogram) sensors, users are guided through the process of ‘EEG-feedback therapy’ three times a week, for 20 minutes. The novel aspect of UrgoNight is that the process is undertaken during the day, and the benefits to your sleep are gained by completing the brain-training tasks over a period of several months. 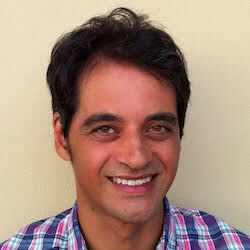 Hupnos, a new startup that has created a smart sleep mask to reduce snoring using EPAP technology. The mask connects to your smart phone whilst you sleep, analyzing your snoring habits and if necessary takes gentle steps to fix it. It does this by i) providing gentle vibrational signals to prompt the user to change sleeping positions and ii) increasing the exhalation pressure so you stop snoring. Hupnos is in the production stage after a successful IndieGogo crowdfunding campaign. It’s expected to cost around $179 but is currently available at a discount for early-bird backers. Another smart snoring solution announced at CES 2019 is the SmartSleep Snoring Relief Band from consumer electronics giant Philips. The band is a soft wearable worn around the chest at night and uses a technique called positional therapy to help prevent snoring. A small sensor tracks your sleep and determines when you are on your back. It then sends a gentle vibrating signal which encourages you to move to a side-sleeping position, reducing the likelihood of snoring. The Snoring Relief Band is part of Philips SmartSleep ecosytem of advanced sleep-tech which includes the SmartSleep Headband which debuted at CES 2018 the SmartSleep Analyzer app, the Philips Somneo wake-up light and more. Philips has yet to release price or availability information for the Snoring Relief Band. Ooler is the rebranded version of the Kryo Sleep Performance System which we covered in 2017. Ooler is a smart temperature optimisation system from Kryo Inc, the people behind the popular Chilipad bed cooling system. Ooler consists of 3 separate components, a water-based cooling unit, a hydro layer and the mattress cover itself. Ooler is available for pre-order costing $599 for a single sleeper and $1299 for a dual system. The Muse Softband is a sleep-focussed meditation headband from the Interaxon, the company that pioneered the world’s first EEG-equipped mediation band back in 2014. Last year, the company launched Muse 2 with additional sensors and application. The Softband is the company’s first ever sleep-focussed product, which, because of its form factor allows users to wear it to bed, and play meditation sounds via an Alexa-equipped speaker, whilst also monitoring your sleep patterns. The product is not yet available to buy but according to TechCrunch the Muse Softband will cost around $249 and will be released around Q4 2019. Continuing with the trend in EEG-equipped sleep devices, Neuro Beat is a new device span out from Dlogixs, a Korean company established in 1998 specialising in broadcast and healthcare equipment. Neurobeat has a lineup of 4 separate products, all of which utilize the company’s patented RBS Technology, which uses binaural beats to help improve your sleep. (Read the results of their clinical study at Seoul National University last year). Two of the products, Neuro Beat Puck and Compact are described as Bluetooth ‘healthcare speakers’ where you can convert any music into RBS tracks at the touch of a button. Neuro Beat Alpha Pro and Alpha AI are more sophisticated devices, incorporating an integrated speaker/circadian lighting system with an EEG sensor headband that can monitor your brain activity and provide EEG sleep stage monitoring, and neuro-feedback-based insights into how to improve your sleep. Announced at CES 2019 as the winner of the Best Baby Tech Showcase, Miku is an advanced baby monitor that tracks your infant’s sleep and breathing patterns without wires or wearables. Using a patent-pending machine learning technology called SensorFusion, Miku uses advanced sensing technology develeped by co-founder Eric White, a recent dad who has a background working on advanced military research programs. After debuting at CES 2018 with their smart sleep mask, Chinese tech firm Dreamlight returns, this time with 3 products in their range. The flagship Dreamlight Pro is a 100% light-blocking sleep mask, and ‘sleep meditation system’ with a range of features including binaural audio speakers, LED light-based sleep breathing aid, heart-rate and movement based sleep tracking, and even an integration with cloud-based genetic profile services to recommend the best sleep schedule based on your DNA profile. The result of a 6-year research product, Kardian is a multifunctional radar-based sleep sensing system designed for many applications including sleep apnea monitoring, personal emergency response (PERS), resting heart rate and breathing rate monitoring, fall detection and lots more. A pioneer in developing integrated sleep technology solutions for IoT and smart home applications, Sleepace is using CES 2019 to showcase its broad range of hardware products and cloud software solutions designed for the smart bedroom. The Sleepace Dreamlife solution can incorporate any of the company’s bedroom devicess including the RestOn sleep tracker, its range of smart sleep lighting systems, and speakers – all designed to be fully integrated with Alexa and other IoT services to improve your sleep environment and sleep quality.